The high church movement within the Episcopal Church was antithetical to both the intellectual and social worlds of antebellum America, for it challenged the underlying assumptions of evangelicalism and held itself aloof from reform impulses. 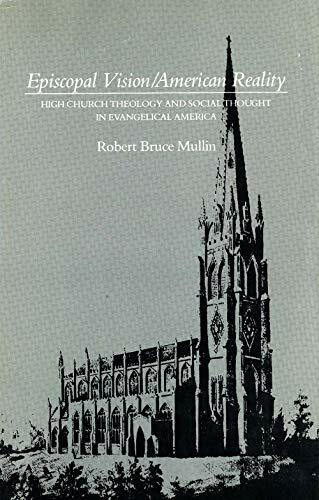 This book by Robert Bruce Mullin―the first to study the high church movement from the context of nineteenth-century American culture―discusses how the spiritual descendents of those who harassed the Pilgrims out of England defined themselves in an America that was "the land of the Pilgrims' pride." Mullin discusses the problems that faced the Episcopal Church after the American Revolution, analyzes the intellectual currents in Anglicanism of this period, and sketches the backgrounds of the chief individuals involved with the high church revival―in particular, John Henry Hobart, later bishop of New York. He shows how Hobart's theological and social-alternative synthesis, which called for a radical division between church and state, provoked controversy with evangelical Protestants on issues as diverse as theology, revivalism, temperance, and slavery. Tracing the history of the Episcopal Church from the early nineteenth century, when it was seen as an ark of refuge by critics of the "excesses" of evangelicalism, to 1870, when the antebellum high church synthesis had largely collapsed, Mullin explains its success and subsequent decline. Mullin's examination of the high church movement not only sheds light on the reasons for the flourishing of this alternative social and intellectual vision but also helps to account for the general crisis that confronted all American religious communities at the end of the century. In addition, his reconstruction of the tension between high church Episcopalians and evangelical Protestants provides a new historical perspective from which to view the larger debate over the nature and direction of the antebellum nation. The high church movement within the Episcopal Church was antithetical to both the intellectual and social worlds of antebellum America, for it challenged the underlying assumptions of evangelicalism and held itself aloof from reform impulses.